Turntable mats have been always a big discussion how they influence the sound. The interaction between the record and the surface can be tracked very easily by the super-sensitivity of a good pick up cartridge. 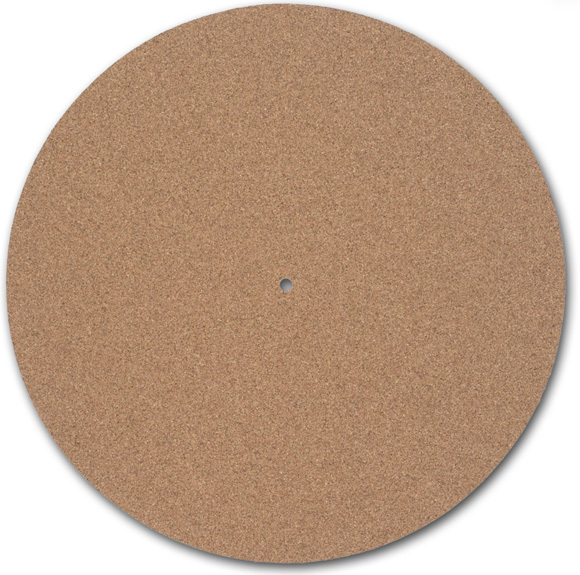 Common felt mats give a smooth contact between record and platter but has the disadvantage with static. That means that felt-mats often collect a lot of dust which can be then transferred to the record. Also the damping ability is very limited which can be a problem with metal platters. Thick rubber-mats over-damp the record and have an isolation effect which leaves the static on the record and audible noise clicks are the result. What is better depends on taste and the actual platter design. A very cost effective way to improve the sound and have less noise by static and dust. You can hear a difference!